Some businesses have the idea that live chat is solely for customer support. Guess what? It’s not! In fact, live chat provides just as much value to marketing and sales teams as it does for customer support. Did you know that 30% of customers expect businesses to have a live chat technology available on their website? Chat supports your visitors — really, customers — by providing a new connection point with you and your team. Better yet, chatbots have an immediacy that most websites don’t offer, allowing customers to contact you at the perfect moment: the exact time that they’re considering your product or service. With an open channel for dialogue, you can make create a genuinely customer-centric marketing strategy that speaks to the questions or concerns your users have when navigating your website. Depending on your particular audience, all pages may not be best suited for a live chat option. 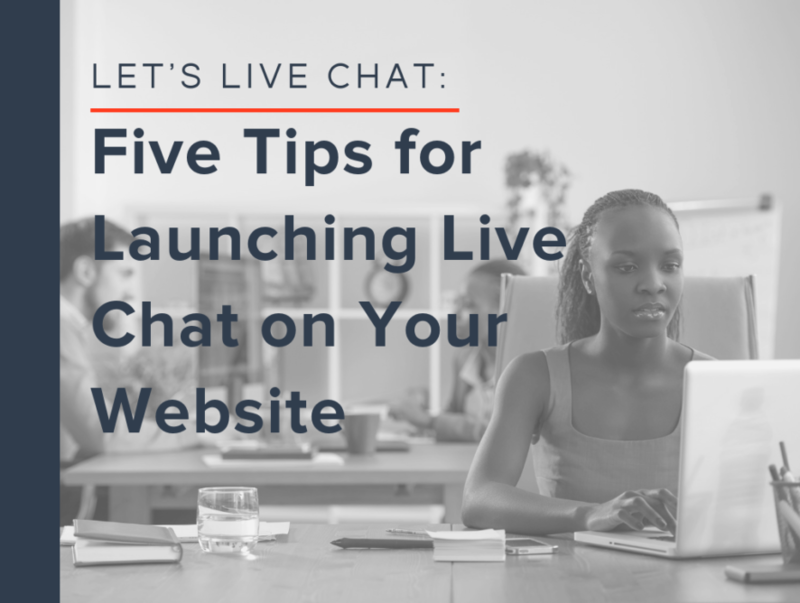 Your homepage probably gets the most traffic, but that doesn’t mean it’s the right place to add live chat. Consider key action pages like a pricing page, contact page, or a request trial landing page. Understanding your website visitors and their expectations when visiting your site is vital to rolling out a successful live chat feature. Live cat can serve as a form of market research that you initially may have overlooked. For instance, if you start using chat and you begin to notice trends in the requests and questions asked on your website, you can update your site to present the answers to these common questions up front. In the same breath, if you experience that people who are visiting your site from organic or PPC ads are reaching your website but in fact looking for a different product with a similar name, you can use that actionable information to update and optimize your keyword strategy. When was the last time a bot solely sold you on something you didn’t originally intend to buy or weren’t expecting to buy at that very moment? Like most forms of communication, there’s a fine line between bots that enhance the user experience and those that hinder it. 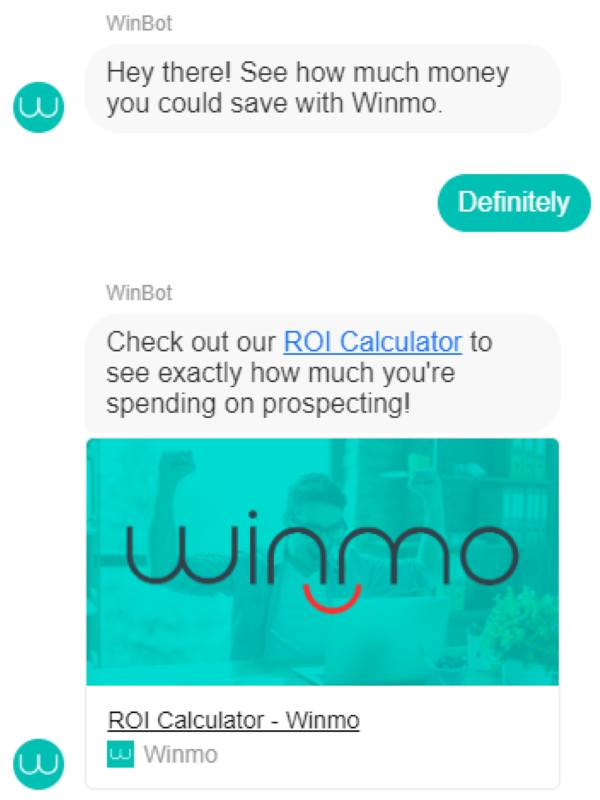 Allowing bots to enter early in the conversation assists reps with the qualifying information they need to know about a prospect before they join the conversation. If your company has an existing BDR team, allow them to monitor the chat. Typically, BDRs are new to their career, making them excellent candidates for a little practice; by monitoring chat, BDRs can hone their communication skills and learn about customer pain points straight from the source. That said, it doesn’t hurt to involve the entire company on live chat so that everyone can become better at their jobs and have a greater understanding of customer needs. One word: bots. Yes, those bots we mentioned above. One of the most advantageous applications of bots comes when humans are offline; rather than miss an opportunity, bots can offer assistance or customized responses based on common questions. Using bots allows you to direct customers to content, help articles, video demonstrations and more to assist them until you return online to follow up with their questions and requests. A lot of the power of chat comes with integrations that fuel the follow-up and tracking. Most live chat technologies integrate with major marketing and sales software providers, like Hubspot and Salesforce. These integrations allow you to store your customer touch points, including chat activities, in one place. They also create a seamless process when assigning prospects to the proper team members; because CRM platforms save user history, your sales reps can see a prospect’s previous activity — including chat history. You’ve done a great job getting people to your site—you’re killing it on the awareness front, but the hard work doesn’t end there. Now that you have your visitors on your site, the next hurdle is getting them to interact and purchase your product. If you consider all the items above before building out your new live chat technology on your website, you’re sure to have a new technology that will take your company’s inbound marketing, sales, and customer support to the next level!